I have another red swatch for you today, and also an announcement! 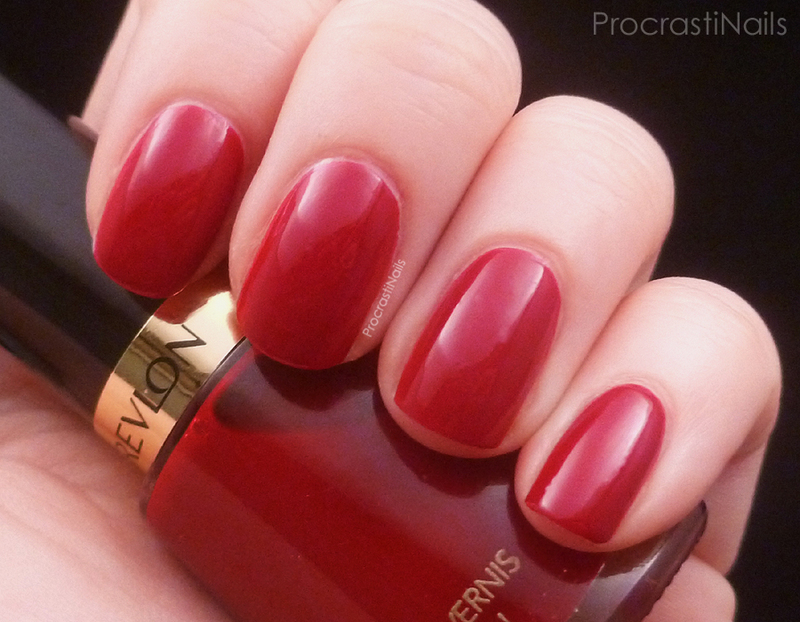 The swatch we have today is a polish I picked up for Valentine's day this year aptly called Revlon Valentine. I really like this shade, and I've previously used it as a base for nail art with China Glaze Ruby Pumps and was pleasantly surprised by how well they worked together! Now that I've gotten that out of the way, check under the cut for more details about Valentine and also another pic! 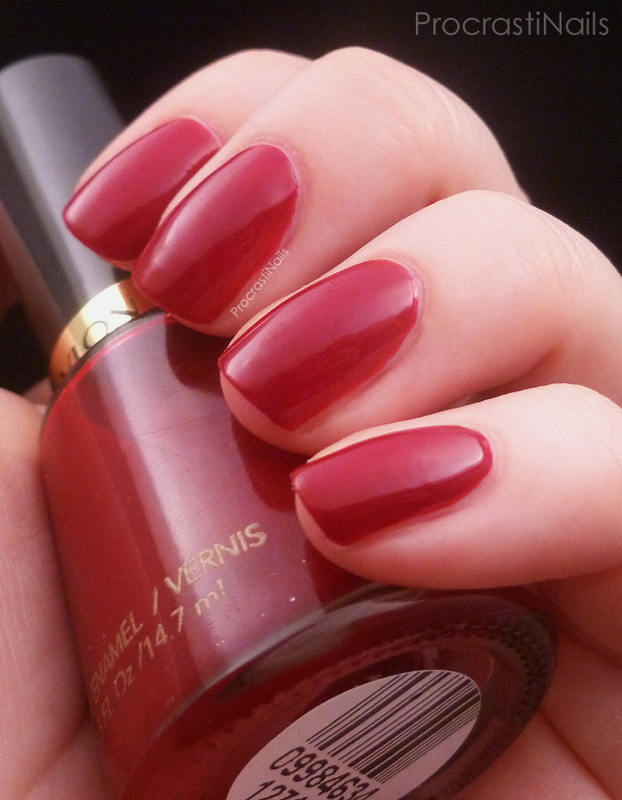 Valentine is a lovely deep cherry red crelly. When I first used it I was worried that it was going to be a sheer jelly but my fears were (thankfully) unfounded. I used three coats here, but depending on how thick your coats are you can possibly get away with two. The consistency and application was really nice though it did stain my cuticles a bit when I removed it. At first I was worried this was going to look similar to Julep Catherine but just from glancing you can see that this polish leans blue where the other leans orange. So that worry was unfounded! All images depicted here and elsewhere on my site (unless indicated) are my intellectual property and Copyright © ProcrastiNails 2013. Please do not re-host elsewhere without asking. That's a pretty red! Great swatch of it. Guest Post from The Polished Hippy! Vacay! See you in a week! My Review of the Julep Plié Wand! Today I Learned... About Nail Growth!